By the time many folks read this post, North Carolina and other states may already be hit by Hurricane Florence. The National Hurricane Center enhanced Florence to a category 4 storm as reported on September 10th. This will make it the strongest storm to hit North Carolina since storms have been recorded nationally (read more HERE). Our hometown of Cary, NC, may not be in the path of the storm. Major damage is expected in the Outer Banks. However, inland areas are expected to receive heavy wind. North Carolina Governor, Roy Cooper, has requested the federal government to declare the impending storm as a federal disaster. 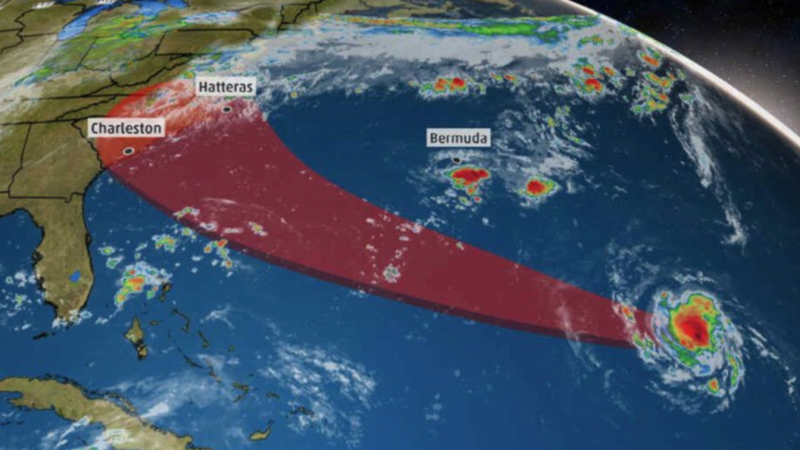 North Carolina state has ordered residents and tourists in Hatteras Island in Dare County to vacate the Island (read more HERE). Hurricane Florence brings to memory Hurricane Fran that hit North Carolina in 1996. Fran is considered one of the most devastating storms to hit North Carolina. However, Hurricane Fran was a level 3 storm. This is one category smaller than the impending Hurricane Florence. Hurricane Florence’s track in much similar to Hurricane Fran’s track. It is not surprising that North Carolinians are worried as they await Florence (read more HERE). Here are some tips on how to prepare for the storm. Check out a list of supplies, as shared by the Charlotte Observer, that you should store before the storm. Here are storm preparation tips by Cary Citizen.